We’re not nomadic travelers. We didn’t quit our job to travel “indefinitely” and we don’t have location-independent jobs either. We’re just a couple working normal jobs while bitten by the wanderlust bug. It’s true that many awesome travel blogs out there are written by people who did quit their job to travel the world. We must admit, it does sound appealing. We too were secretly dreaming of this nomadic lifestyle after reading these bloggers’ amazing stories. 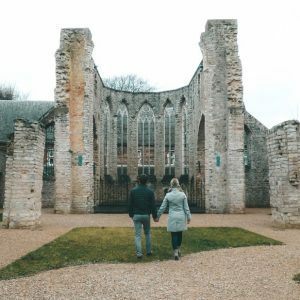 But the truth is that long-term travel with no end in sight didn’t quite align with our other life priorities to have a career, getting married, friends and family we can see on a regular basis, and our desire to have a home to return to. Does that mean we should bag up our life-long dream of travelling the world? Thank goodness no! 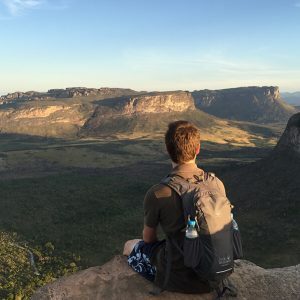 A real life (we have a car, house and a home life) definitely doesn’t have to negatively impact your wanderlust… You CAN travel the world while working a full time job. We know that there are many people out there dreaming of the exact same thing; exploring the world and experiencing foreign cultures, while wondering if they have to abandon their current lifestyle in order to fulfill those dreams. For that reason, we created this travel blog. To show you that it is possible to have both from our own experience. 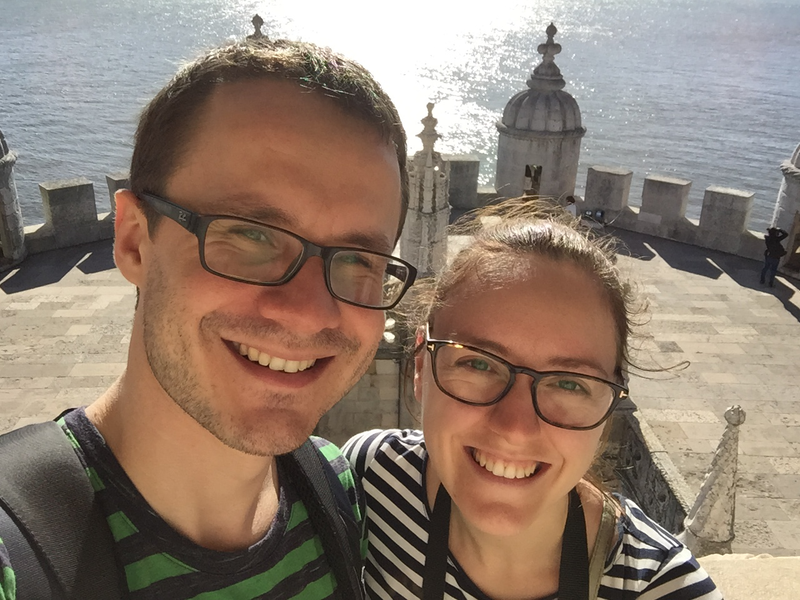 This blog is the story of our endeavors to balance a “normal” lifestyle all while travelling across the globe. We hope that our stories will inspire you to see more of the world, without feeling required to give up the comforts of home along the way. The key to any successful trip is to have sufficient funds to travel to wherever you want go and do whatever you want to do. It helps when you have a do-able budget in mind. And stick to it. It’s never too early to start! Even just setting aside $20 per week can go a long way. Start preparing some home-cooked meals – Seriously, cutting down take-out meals and trips to the restaurant helps big time! Bye bye morning coffee – We get it, we love Starbucks too, but making your coffee at home may yield some big savings in a short time. Cut down the bar nights – Alcohol is expensive! Instead of bar hopping, invite friends over to your house. A bottle of booze at the store is much cheaper than the drinks they serve at a bar. If you’re a smoker, quit smoking! Bring your lunch to work – Ordering a sandwich or salad while at work can really empty your wallet. 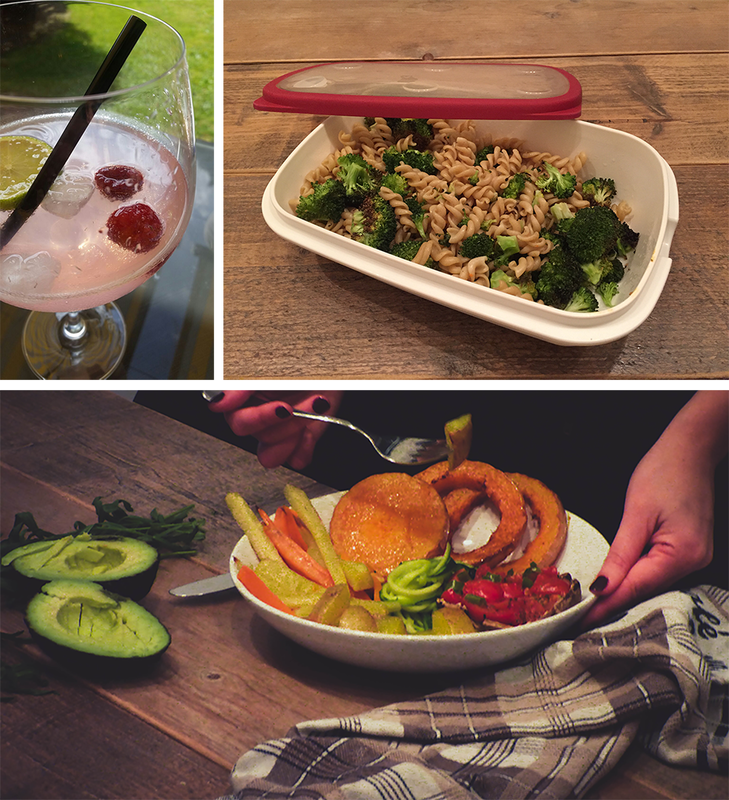 It’s time to prepare and bring your own lunch to work ;-). Do you really need a second car? – or do you really need a car at all? Using public transport can be way cheaper! Cutting down your daily expenses is a simple way to save some extra money for your trip! After having saved the money for your trip, you should try to stretch that buck as far as possible, matching your travel comfort. Be a tourist in your own country – we hardly take the time to explore our own country. Somehow it always sounds more exciting and exotic to explore a country on the other side of the globe, while there are tons of local attractions to explore. Travel like a local – using local means of transportation and trying street food or local restaurants isn’t only cheaper, it’s a great opportunity to meet local people and have a more authentic experience. Book last minute trips – tour companies and airlines need to fill the seats and offer great last-minute deals, sometimes offering up to 30% discount. Travel off the beaten path – some countries are cheaper than others. Travelling to Bolivia, Cambodia, Thailand or Greece may give you more value for your dollar than travelling to Australia, Italy or Canada. Choosing the timing of your travels wisely may have a big impact on your budget. Travelling during low- or shoulder-season may cut your expenses in half! Short getaways – sometimes, a weekend trip is all you need to have a fun and memorable experience. We get more joy and relaxation from small, frequent breaks than we do from one, enormous break. Schedule your travels around national holidays – by combining your vacations days with national holidays you can travel for a longer period of time without consuming extra vacation days. 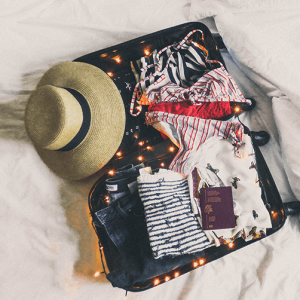 Understand your vacation benefits – I know Europeans are advantaged when it comes to vacation days but sometimes it helps to simply understand how your vacations benefits work. Make an appointment with HR and exchange salary for extra vacation days or review your contract. Unpaid leave – It’s not a personal favorite but if you’re in need of a longer vacation or finally planning that around the world trip, asking for unpaid leave might be a better solution than quitting your job. Tip # 4: stop making excuses! At the end of the day, this is the most important tip we can give you. If you truly want to travel more without giving up your “normal” lifestyle, the first step is setting aside the misconceptions and excuses about traveling. You don’t have to be rich, single, brave and outgoing or quit your job in order to travel. We’re the perfect example that it IS possible. If we can travel while working a full time job, so can you! 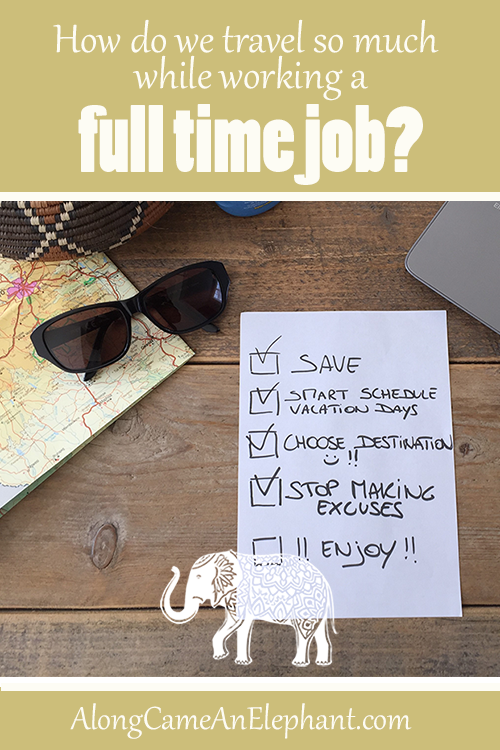 Do you travel while working a full time job? Share your tips in the comments! Looking back: why I love to travel How to choose the best type of luggage for your travels? 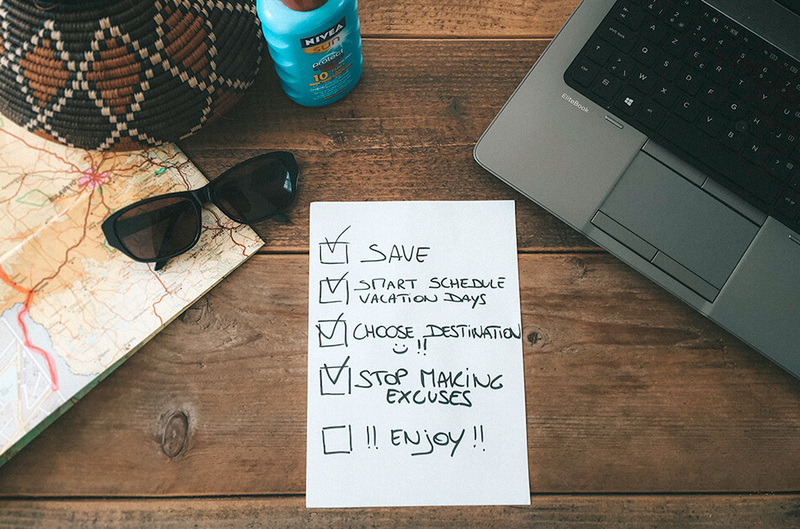 8 shockingly simple hacks to maximize your vacation days! So happy you enjoyed our post! We're even more excited that we're not the only one feeling this way :-). Of course you can travel while keeping your job, you might have to compromise a bit but it's totally doable!